“Investing can be a scary thing. There are entire TV stations dedicated to the topic, yet for many it’s completely unfamiliar. It can be technical with its own language, and requires a long-term perspective unlike the rest of everyday life. It also looks suspiciously like math in places.” – John Robertson, Author, The Value of Simple. I think John’s comments above are spot-on and The Value of Simple was written specifically to change all that for Canadian investors, to help you get a handle on your investments. 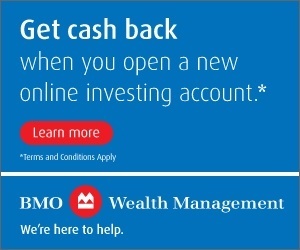 Using The Value of Simple as your guide here’s how Canadian investors can start saving, start investing and get your money working for you now. 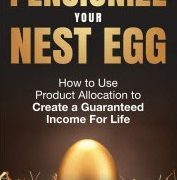 What I liked about this book is it hits you early, meaning, successful investors appreciate early-on in their wealth-building process that money management fees paid to others is the money they never see again for themselves. 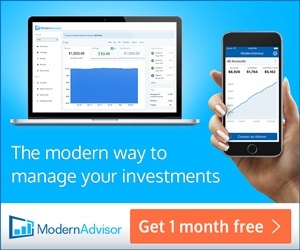 This doesn’t imply paying for some financial advice along your financial journey is not value-added, it certainly can be, rather all investors should be skeptical of any high-priced fees for products they are invested in. The Value of Simple shares much more on that story but the punch line should be crystal clear to you: fees are one aspect of your financial plan you can and must control. 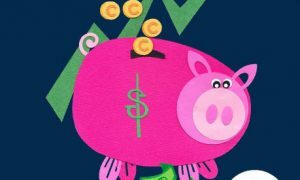 The Value of Simple provides a nice overview of the various accounts most Canadian investors might be expected to own: a Tax-Free Savings Account (TFSA), a Registered Retirement Savings Plan (RRSP) and a Registered Education Savings Plan (RESP). The information about these accounts is well-worth the read for investors wanting to learn more and optimize the use of these accounts. John recaps the basics about savings accounts, Guaranteed Investment Certificates (GICs), bonds and stocks, concluding stocks/equities can pay dividends, they may go up (and down) in price, they are risky for short-term investments but they are generally excellent long-term investments. While stocks are risky, as John puts it since any one can perform poorly, right up to the point of becoming totally worthless, you can spread out your risk when you diversify across companies, between industries and with different countries. In reading this book you’ll learn to appreciate John is an advocate for diversification and rightly so. The Value of Simple includes a handy-little table on some of the most popular financial products to get your diversification comparing mutual funds vs. index funds vs. Exchange Traded Funds (ETFs). Here’s the tremendous value in The Value of Simple. With what I call the “introductions” out of the way this book shines when John lays out a step-by-step guide for how to invest in some financial products with some online banks and brokerages. This book actually walks you through the processes of setting-up your account and making investment choices; pictures and all. I’m of the opinion most professions tend to make the simple overly complex. The financial industry is no exception to this. The Value of Simple outlines the reasons for saving (most of them you already know) but then provides some solid “how-to” steps to make it happen – a feat few personal finance and investing books take on. Your financial plan should be easy to implement, have few moving parts, be adaptable and remain in control. 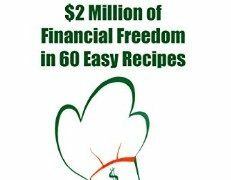 If you have any doubt your financial plan is even one of these things then The Value of Simple by John Robertson will most certainly help you. Thanks to John Robertson I have one (1) hardcopy and one (1) ebook to giveaway over the next couple of weeks, which will make a lovely stocking stuffer for someone at Christmas! Enter my giveaway below and I’ll contact the winners soon. For those that can’t wait go to The Value of Simple and pick up this book starting at just $8. It’s a significant deal considering how much money you’ll save in the coming years by following John’s advice. 20 Responses to "The Value of Simple Book Review and Giveaway"
Sounds like a great book to read for beginners to investing. I agree with your sentiment that most professions tend to overcomplicate the simple. Take the life insurance industry, for example. They keep coming up with more and more complex products, but most people would be best served buying a term policy, which is simple to understand. I’m always looking for Canadian content. Thanks! Did someone say giveaway? I love this time of year 🙂 – Cheers. Being a recent widow I could use all the help I could get. poor interest GIC or expensive cost mutual funds. I have enjoyed reading the Holy Potato’s blog and would love more of his insights on investing for regular people. 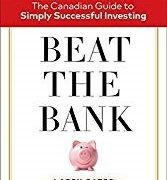 This does sound like a good resource for Canadians who are maybe a bit daunted by the thought of investing. I agree that the topic which should be simple is presented as overly complex, which is completely unnecessary and scares people away from investing. I thought John’s book was very good, he should be proud. It would help people who are afraid of investing. That would be very nice for Christmas! Sounds like this book would be a good read for a few members of our household! I would love this book. I would like to move from Tangerine Streetwise funds to ETF’s.